I think that in our 21st century information technology social media society, there is now an even bigger, more rapidly growing shift today than ever, for consumers to seek and purchase ethically produced products made from sustainably sourced materials. This shift is born out of improved education and heightened awareness of the consequences of doing nothing. Most of us have in the past, always desired an end to the abuse of people and the pollution of our planet, withought having access to any facts and figures, but purely as good human beings, and rightly so. But nowadays, I believe that many more people now go beyond being just good citizens and also base this desire for change on the cold hard facts about the reality of worldwide material shortage and the social impact of poverty and exploitation. They know from what they see and hear, that action is needed, before their lives change drastically. This wider in depth view is born out of far more knowledge than was ever there before, gained from our 21st century thirst for social media, facts and news channels. Access to this level of knowledge to the individual, did not exist 10 years ago. The "new media" person sees and hears far more reports and detail about global warming, carbon footprints, waste, social injustice, poverty, hunger, cruelty and exploitation than ever before. This resulting modern education also includes many, constantly updated facts and figures about greenhouse gas, the size of the ozone layer, carbon footprint data, world population, crop quotas, fishing levels, etc. This knowledge brings about a cold logical conclusion, even to the hardest of people - The realisation that plundering the planet is unsustainable, and our resources are finite. At some point, we will run out of raw materials, as simple as that. I am not trying to paint a gloomy picture here, just the opposite. I believe that knowledge gives us power to change and nowadays we all have knowledge. The army for change is therefore huge. Tea bags - A plastic argument? A while ago we were watching a re-run of a great BBC TV programme about automated food production, presented by Gregg Wallace, a well know food ingredients expert in the UK and now a TV presenter. He has done a number of these "Inside the factory" shows , which involve studying the process of top selling commodity foods, from the delivery of raw ingredients at the factory door, right through to the packing of the finished product ready for delivery to the shops. These shows have given an in depth study of the production of, amongst other things, Baked beans, Chocolate digestive biscuits and Milk. All have been extremely compulsive viewing and very interesting, with mind blowing facts about our daily consumption of these popular food items. The UK figure is made up from various brands including the major players, such as Tetley, Typhoo, PG Tips, Yorkshire Tea, Twinings and others. The programme focused on one major manufacturer, but similar processes are employed by the others. 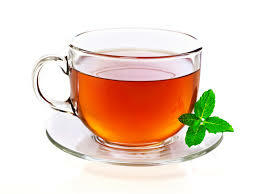 One of the main things that emerged, common to almost all of the large producers, was the discovery about the use of plastic in the tea bag production process. Like most people, (or as I thought), I had assumed that tea bags just consisted of tea and "holey" paper. This is not the case. A very thin layer of polypropylene is added to the biodegradable tea bag paper material. 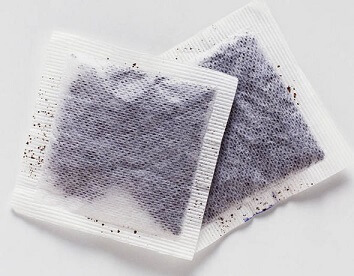 When the bags are at the stage of having the tea added, the top layer of the tea bag is then placed over the tea and the bottom of the bag, after which heat is applied to instantly melt the plastic, effectively bonding the two halves. It is a key feature that the melting point of this plastic is actually above that of boiling water, thus, very efficiently, preventing the tea bags from splitting in the pot or the cup during the brewing process. I am not sure how I thought that teabags where actually sealed after adding the tea. Maybe I hadn’t really thought about it at all for all these years. Maybe it is the case that more people are more aware than I think about the plastic content in a teabag, but certainly not me. But, on discovering this fact, alarm bells immediately rang in my mind. My concern isn’t about the risk of my swallowing plastic whilst drinking my tea. I am confident about the science of the melting point and the integrity of the bag. My concern is about the sheer quantity of non-degradable plastic that is being created and left behind. When the tea bag composts and bio degrades, only the paper part actually does this. The plastic content remains behind indefinitely. It may end up in the soil and then will potentially find its way into our rivers and oceans. I have since heard that there are some smaller tea bag producers, who have alternative non plastic sealing solutions. One such company is Pukka. They do not use any plastic, choosing to actually sew together the sides of the bags with a cotton thread. The other company is Teapigs. they use a bi-product of corn starch, called soilon, which effectively bonds the bags together. Twinings claim to be plastic free for their pyramid range, which uses a type of maize starch. One of the other large manufacturers, Tetley, also claims their string and tag bags to be plastic free. Having now seen and looked at this issue, it leaves me with many questions. - Is this really a problem? - Should this not be studied further? - Does the alternative use of maize and corn starch affect the flavour of the tea? - Should we be boycotting tea bags in favour of loose leaves? According to the American Dietetic Association, "appropriately planned vegetarian diets, including total vegetarian or vegan diets, are healthful, nutritionally adequate, and may provide health benefits in the prevention and treatment of certain diseases"
This statement seems to be in keeping with my own thoughts and observations and many people that I know practice some form of a vegetarian type diet in their daily lives. The reason that I say "some form of a vegetarian type" is not meant to be deliberately confusing. It is because I know a lot of people who are not full on vegetarians, but still know the value of this kind of diet. There are many people today who decide to have a "meat free" day or days, once a week. 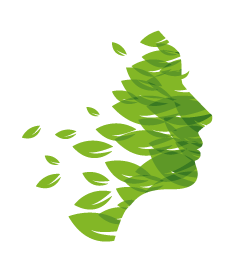 There is a perceived or real feeling of wellbeing associated with a reduced meat intake, so the American Dietetic Association's recent statement may well reinforce this feeling and belief. Having these meat free days may be a good opportunity to eat out and to find a good local vegetarian or vegan restaurant. We have added a new specialist restaurant directory on creamjug.com to help you to find good establishments, wherever you may live in the world. 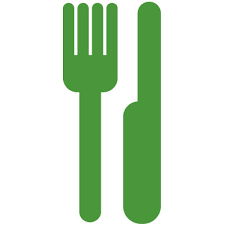 Please tell your favourite restaurant to visit us and add their free listing. We recently discovered some interesting food facts from the fast moving consumer goods experts, Logica Resources FMCG . The size of the Delicatessen market in the UK is expected to exceed 25 billion GBP (33 Billion USD) by 2019. The sales of speciality meats, cheeses, speciality salads, sandwiches and beverages will be responsible for much of this figure. In the rest of Europe, the figure for Germany is even bigger, closely followed by France. The deli market generally, in all the major European countries, is increasing, year on year. There are many large organisations and chain stores that will almost certainly fulfil a large proportion of this market. But it is rapidly expanding and there is room for all quality food and drink artisans and suppliers to achieve some good market share. Here at Creamjug, as always, we want to help to promote the smaller independent Delicatessens. To assist you to get more prominence for your business, we have now added a Delicatessen Business Directory section. This can only help to give a stronger presence for all specialist delis and retailers worldwide. This will particularly help to market those high quality, but often lesser known independent labelled Artisan food and beverages. 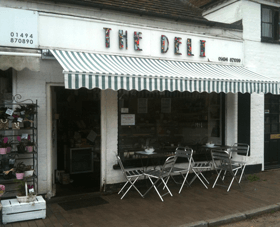 Qualifying Deli businesses can add their listings with us for free. 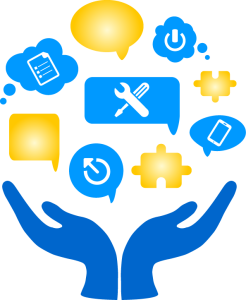 This is a very comprehensive directory listing, not just a few lines and you can list everything about your business, including unlimited text, multiple image upload, social media links and most importantly a valuable link back to your own website. This is what will really help to elevate your business in the Google and other search engine rankings, especially the local results, which consumers particularly look for in these kind of searches. The main reason for writing this article is to highlight certain products found in cosmetics generally with possible or actual concerns and make everyone aware of what each one does. Consumers can then make their own minds up about what to use and what not to use. The Neals yard product range offers a perfect way to illustrate this cosmetics product ingredient overview. Neal's Yard Remedies, to give its full name, develops organic, natural skin and body care products and is now a household name to most of us. I recently found out they have actually been trading since 1981! What makes this company such a big hit with its customers, is like any company, the strength of their products and their ingredients and its commitment to high quality Organic plant based natural and wild ingredients. But it is also just as important to say what is not in their products, as what is in them. This is not a short list of exclusions, but includes a wide range of constituent ingredients proven to have undesirable effects, plus other unproven ones which you can read more about below. Firstly there is no use of any mineral oils. These are inexpensive petroleum based oils, utilised in cosmetics products, mainly to help to reduce water loss from the skin, but this by definition does tend to block the pores of the skin. EDTA is a chelator used in various cosmetic products, toiletries and soaps etc. Chelation is the effect of bonding Ions and molecules together, thus keeping Minerals in place, to help prevent changes in various products colour, texture and fragrance. 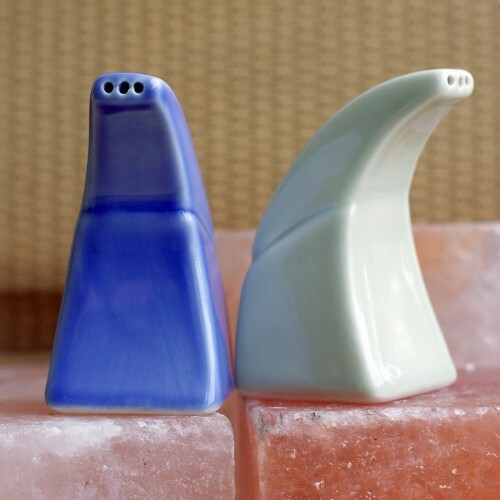 These are thought to be fairly harmless to the body, but unfortunately they do not biodegrade easily, so they do not feature in any Neal's Yard product. Parabens do help to prevent bacteria and mold from growing in Cosmetics. There is still much research being done, but there is a good chance that they may be linked with hormonal imbalance and possibly other things. This is used in cosmetics to keep products from melting in high heat or from freezing. It also helps active ingredients to penetrate the skin. It is petroleum based. Silicones in cosmetics and shampoos etc. make your skin and hair feel soft. But unfortunately this effect builds up and the natural function of the skin is then impeded. No Genetically Modified ingredients are used in any Neal's Yard Remedies due to the fact that not enough is known about any possible long-term issues within cosmetics products. 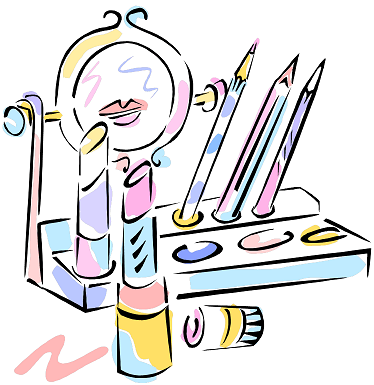 The main type of phthalate used in Cosmetics is Diethylphthalate, also know as DEP. It is used in nail polish, soaps, hair sprays, aftershave lotions, perfume, shampoo etc., to keep products more flexible, for example to stop nail polish from cracking, or to stop hairspray from becoming too stiff and inflexible. The problem is that they have been reported to have a toxic impact on humans and animals. Nano particles are 80,000 times smaller than a human hair width. They are used in various skin care products and it is claimed that this technology makes them easier to apply, leaving no "visible" trace of them on the skin. But, the key word here is "visible" and not enough is known about the long term implications of nanotechnology within cosmetics and personal care products. These are ethyl acrylate, ethyl methacrylate, and methyl methacrylate. They are mainly found in the glue used for artificial nail products, false eyelashes, body gems etc. Unfortunately they are also derived from petroleum, which is avoided wherever possible. As can be seen, it also excludes products that may only "possibly" have effects on the body over a period of time, which we do not yet know about. That is something about Neal's Yard, that is perhaps not seen with some other cosmetics companies. They will not use any product unless they know exactly what it will do and how it will benefit and also it's short, medium and long term effects on the body and the environment. They err on the side of caution and do not take a chance on our health. This is totally for the consumers benefit and no small matter or achievement. We really need to understand and recognise this, as it is not being done anywhere else. To leave out an industry accepted product, (possibly unnecessarily so) that can help to mass produce cosmetic products, can cost a company a fortune. They then have to source natural alternatives, to enable them to achieve the desired finished product, giving them the required performance. Extremely importantly to many of us, is the fact that Neal's Yard do not undergo any animal testing on any of their products. Apart from the obvious cruelty aspect, as mentioned on this site many times, animal testing on natural products is totally unnecessary and pointless. I found something out today. A baby’s skin is not only more porous. but also thinner and less oily than an adults. This means that their skin can absorb things more easily than an adults. This means good and bad things. This is yet another worry on top of all the other worries that we have for our children in this aggressive world. We already know that babies skin is much easier to burn in the sun, is less resistant to bacteria and harmful substances. All in all, babies are not off to a very good start in life, before they even begin to get mobile themselves. Another risk they face as they grow, is through toxins from contaminated food and water, and household pesticides, ironically used to prevent harm from "pests", which we inadvertently place on their skin when we dress them with clean clothes. One way to pro-actively reduce the risk of toxins to your child is with the use of Organic clothing. The use of organically farmed cotton means that Zero pesticides or herbicides are used in the crop growth and production. We are talking about powerful chemicals that may kill the bugs on the crops, but which can also do untold harm to the human skin, especially that of a child, worst of all a baby. There are many more ways to produce healthy crops that do not require chemical control or input. As a result of using different weeding techniques, natural soil dressings and beneficial insects, both crops and the soil are hugely improved. This also means that the surrounding water quality naturally improves and therefore the health and wellbeing of the crop workers, and then the garment workers, and of course, the garment wearers, you and your children. To be assured that your Childs clothing is actually made from Organic cotton or other material, always read the labels and ideally try to make sure that the material is G.O.T.S. or Global Organic Textile Standard certified. This means that anyone holding this certification, must only use textile products that contain a minimum of 95% organic fibers. Addtionally, all Chemicals, including inks and dyes that may need to be essentially used in the manufacturing process, must meet basic toxicity and biodegradability requirements. The GOTS program also ensures that no Heavy metals, formaldehyde, nickel, or PVC are used in the manufacturing process. If you already follow a vegan lifestyle, with your food choice and other areas of your life, you will also be looking for vegan options in your fashion choice. The good news is that nowadays, things are changing rapidly with materials technology. This means that you no longer have to compromise your Vegan principles when you desire a high quality, high fashion Handbag. 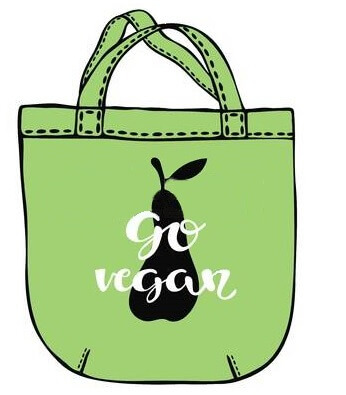 Vegan hand bags (also tote bag, purses and holdalls), i.e. that are not made from any animal materials whatsoever, are now becoming extremely popular. This means no leather, fur, wool, silk or even keratin, collagen or beeswax is used in their construction. In addition the substitute choice of the materials used, that makes the bags vegan, is now much more advanced than days gone by. In the past, non-recyclable PVCs may well have been used. Nowadays many bag manufacturers are choosing re-purposed or recyclable, non-petroleum based substitute materials, which then have the added bonus of also making the resulting Vegan bags become "green". Material substitutes can be either made to look like the animal products that they are replacing or can be a modern standalone new look. 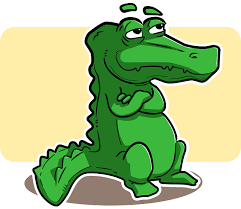 There are some superb faux suede and faux leather materials available and even synthetic alligator and crocodile skin that are grained and textured and extremely lifelike. Finally, to the subject of animal testing and cruelty, which may be a surprise to some. So how do we ensure that Vegan Handbags are totally animal friendly? Make sure you read the product labels and ensure that both points are clearly visible: i.e. they are Vegan and they are Cruelty free. Can we cut our energy bills with an eco Kettle? One of the most frequently used, high energy consuming household items must surely be the electric kettle. There are bigger energy consuming appliances, such as an electric fire, arguably only used for 6 months a year. Then there is the electric shower, maybe used once or twice a day, and of course the electric oven, but again, probably only used once a day. There was a study done in the UK of around 90,000 people, that showed 95% of families boiled the kettle every day with almost half of them boiling water five times a day or more. We are at the top end of the average. Our electric kettle, I would estimate, is used to boil water up to 10 times a day, depending on which of my lovely daughters are in "residence"
It is difficult to save money on high energy consuming inductive workhorse devices. That includes anything with a heating element. To get high energy out, i.e. boiling water, we need to put high energy in. These type of appliances aren’t like electronic devices, such as TVs, laptops and phones etc., where clever circuit design can help to reduce electricity usage, battery drain and charging frequency. But the good news is, there are now a range of eco-friendly kettles that can help to reduce electricity consumption and energy bills in different ways. Instead of reducing the Kilowatts of electricity required to boil a litre of water, which as mentioned is not possible, they save energy by either reducing the amount of times that the kettle is boiled, due to heat conservation or reducing the total boiling time, due to less water. Oh and don’t be fooled when you see "rapid boil" feature mentioned. This just means you will get to drink your tea a little bit sooner, it is not an energy saving feature. One such eco kettle made by Vektra, has a Thermos flask type feature, which keeps the water hot for 3 to 4 hours after its been boiled. This does not keep the temperature at, or close to boiling point, so its use, to my tea drinking way of thinking, is limited to coffee and hot chocolate, which are both hugely consumed by other members of our house. However it does mean when you come to re- heat the water, it does not take very long to reach boiling point. This is a real plus. There is another eco friendly Kettle made by Wahl, recommended by the Energy Saving Trust, which has a different feature that enables you to just heat the exact amount of water that you will use. This has a capacity of 1.5 Litres and a dual chamber which allows you to transfer what you need for heating or boiling. 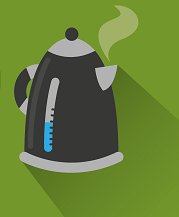 Using a kettle in this way is claimed to save around 31% less energy than a normal kettle used as frequently withought water quantity monitoring. I like this kettle, but withought trying to sound too clever, I always only ever boil just what I will use wherever possible anyway. As long as there is enough water to cover the element everything is fine. But this type of kettle will undoubtedly make things easier for some. Or we could just drink nice cold water, or better still beer. I thought I would mention Himalayan Salt pipes as they are now widely available in many shops and online stores, are considered safe to use for adults & children and may have some health benefits, as I have personally found. They work by by placing your mouth over the top three holes as in the picture on the left and simply breathing in. No batteries required, this is a green activity. This then draws air in from the base of the pipe and in to your lungs. In the course of its travel, this air is drawn though a type of salt that is contained in the body of the pipe.This salt then acts as a kind of filtration system. The detoxifying effects of the natural salt crystals are thought to help with the bodies absorption of oxygen. After regular daily usage, many users claim to have found an improvement in their general health, including those with respiratory problems. This is one area that I can speak about with good experience. I suffer badly with Asthma (well what I consider badly, who knows how others cope) I have been using this pipe nightly for around 10 to 15 minutes. (15 minutes a day is a recommended minimum. Longer may be better, it is all new territory.) Over a 3 month period, with admittedly forgetting the odd night, the pipe use seems to have helped my condition. By that I mean I am not using my blue attack spray as often and my green long term spray has been reduced from 2 applications to just one at night. I am still using my brown steroid spray, I will try to reduce this also to one spray at night and see how things go. I am not convinced that anything will cure asthma at present, maybe one day there will be a cure. Let's be clear about this, I use my salt pipe alongside my asthma medication, not instead of it. But there is another thing to consider. Is it the salt that is therapeutic or is it the act of a good 15 minute breathing exercise regime every day that is helping me? Or a combination of the two? Either way, something is working. But all I do know is the pipe does seems to help me. Even if the effect was far less than it is, I would still use it daily, as I like anything natural that takes the place of, or even just reduces slightly the amount of regular drugs and chemicals in the body. In addition to their alleviation of asthma, Salt pipes may also prove effective against certain allergies, bronchitis, sinus inflammations, coughs & colds. Studies continue, but I have no further information at present, If I get any updates I will post them here. The pipes usually come delivered with a supply of salt already inside, ready for use. The salt lasts for up to 3 years, depending on frequency of use and refills are low cost and readily available. The salt used is actually from the Punjab region of Pakistan, close to the Himalayan mountains. This is where most salt for these types of inhaler pipes originates. It is considered an abundant resource. Please note, that whatever I say is purely based on my own expererience. Asthma, as sufferers will know, can be deadly, so please dont take any risks or stop taking your prescribed inhalers or other medication withought talking to your doctor first. Organic chocolate is simply chocolate which has been certified organic. The organic qualification process largely depends on how the rainforest situated Cacao beans are grown. However it is not always as simple as it sounds to get this certification. But, it basically means that there is no spraying of bean crops with pesticides and chemicals that are harmfull to humans, wildlife, the soil and the environment. But the key thing to me about organic cacao beans, is that they are usually grown under the shade of other trees, which is the best way for them to thrive and yield more fruit. These are usually trees in the rainforest, that may often be otherwise felled. Because Cacao beans have a high value, the trees therefore often have a greater value to be left growing than felled. When we talk about market forces, it is often just words and we do not always know what this entails or what it means in practice. Well this really is market forces in practice, in a key visible way, saving thousands of trees. So organic cacao bean growing really is helping in a big way to prevent the depletion of the rainforests. This is also helped by the fact that Organic chocolate is a steadily growing commodity, in eating, cooking and drinking forms. 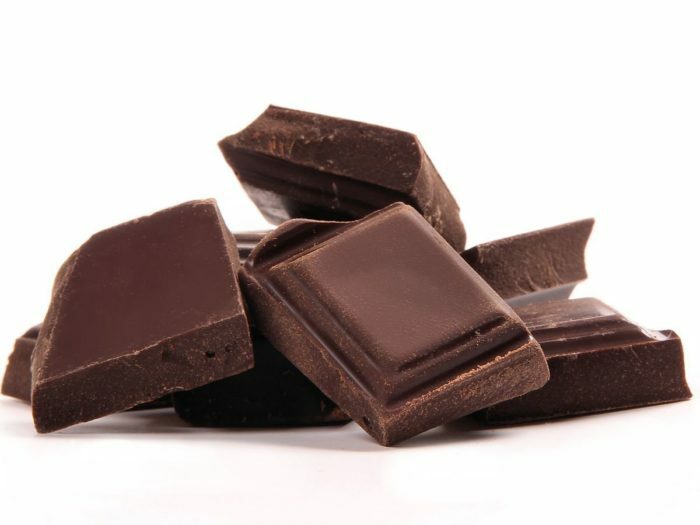 Any regular non-organic chocolate that it is eaten today can be produced as organic, including milk chocolate, white chocolate, and dark chocolate. There are also some brands that produce raw chocolate which is also steadily gaining popularity. Here's an added plus. Most producers nowadays also source organic chocolate from certified fair trade cocoa farms and cooperatives. Pro-actively choosing to purchase organic chocolate products with some kind of Fair Trade or direct trade agreement in place can only help the growers, the rain forest and therefore the environment in general. In the Cosmetic industry in days gone by, a great deal of animals, were subjected to long periods of intensive, dangerous, trials and treatments to help to assess the various risks and effects of additives and ingredients to our skin and cosmetics products. There are various published authentic reports that can be read online of the horrors, misery and suffering of animals as a result of some of this testing. Thankfully fewer companies now conduct animal testing, which to most people is cruel and that’s an end to it, with no more further thought required on the matter. I share that view. But even if you do not hold the view about cruelty, please be aware of the following facts as to why this type of testing is totally unnecessary. In fact it's a waste of time. The reason is this. Animal testing of any kind contradicts the power that exists in the use of all-natural, unadulterated, organic ingredients, extracted from plants and minerals, that we use to create bio-compatible formulations. If we develop and formulate cosmetics from these all natural ingredients to begin with, then why would we ever need to test them on animals at all? It would be pointless. So to begin with, we surely need the vegan approach, which then naturally leads to non animal tested, cruelty free products. This is interesting, possibly alarming and maybe an eye opener to some. If products do not contain animal products, these unfortunately could still classify as Vegan. Conversely, many products may contain animal ingredients, but are not tested on animals. Whilst these could not be called Vegan, they could be claimed in absolute honesty to be not tested on animals. So how do we ensure that the cosmetics we you use are totally animal friendly? They are Vegan - They contain no animal products and They are Cruelty free - They have not been tested on animals. Always look for the leaping bunny logo in addition to any vegan reference. The Leaping Bunny is a program run by Cruelty Free International and is the only worldwide recognised certification for cosmetics, personal care and household product brands which gives a guarantee to the consumer that they are not tested on animals. CFI audit the entire supply-chain monitoring system of the member companies to ensure that all strict criteria is met.